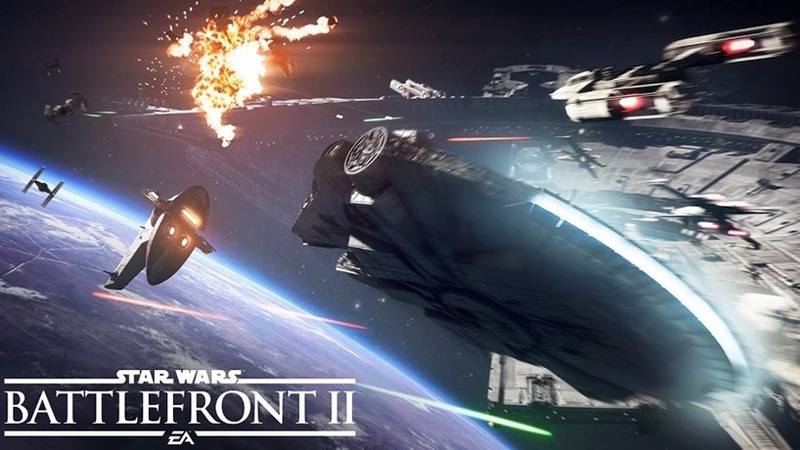 Aerial battles might have looked pretty in the initial outing for Star Wars Battlefront, but the mode itself lacked the depth and finesse that you might have expected from a recreation of some of the best dogfights in sci-fi history. Battlefront II then is addressing this issue head on, which has already been well documented. Ex-Burnout developers Criterion were brought in to redesign the controls to flying from the ground up, while DICE focused on bringing a better sense of scale to the action. And looking at it in action, that’s certainly evident. 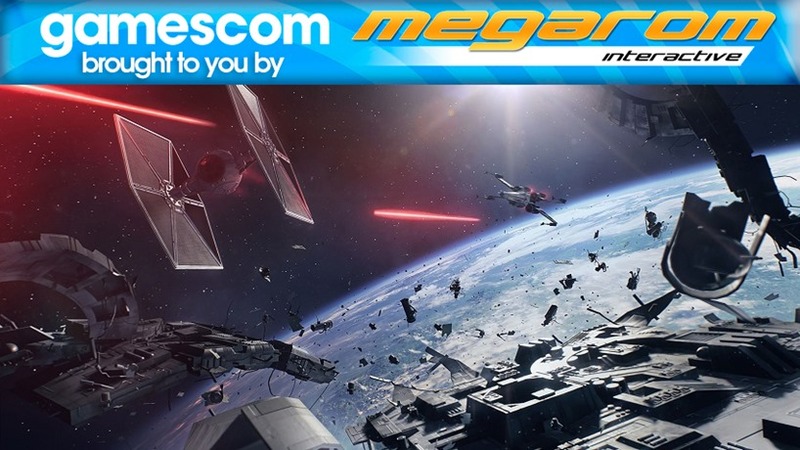 A full match of Starfighter Assault was shown off during EA’s Gamescom presentation last night, showcasing the multi-stage battles that you’ll engage in as either a Rebel or Imperial fighter. Much like the Conquest modes on the ground, one team is either attacking or defending, with a set number of progressive steps needing to be taken to advance the map. Here, above the planet Fendor, Rebel fighters need to take out a series of power couplings, shield generators and more to bring down the Imperial Star Cruiser at the station. There’s a tangible sense this time of being part of a greater conflict, with multiple smaller skirmishes playing out around you as AI controlled ships breathe life into the fights that all chip away at the greater goal. A variety of different classes of ships help round this out to. Y-Wings, for example, are slower, more dangerous bombers, while X-Wings and TIE Fighters balance speed and power for a more hybrid take. Hero ships makes an appearance too, including Boba Fett’s Slave I, Darth Mauls’ Scimitar, Poe Dameron’s custom X-Wing and Han Solo’s Millennium Falcon. They each feature a unique power too. Maul’s fighter has the ability to go invisible, while Poe can reveal enemy locations to nearby allies, for example. It all plays out in a gorgeous looking spectacle, which seems to have a lot more player agency and depth to it as well. How everything controls and feels outside of staged gameplay is now what we’ll need to wait until November for, when Battlefront II launches on Xbox One, PC and PS4.